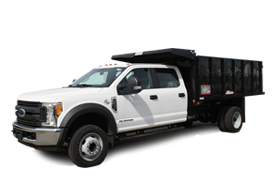 Ford has drastically increased the F-150’s residual value, making it the better buy when it comes to work trucks. 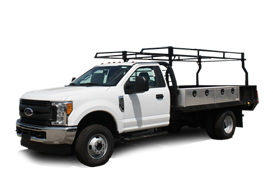 Work trucks today are an investment for your business, your safety, your profession, your family, and your happiness. And it would be nice if your new truck or fleet of trucks would hold onto some of their residual value after working them hard for a few years. For all of these reasons, and several others, Ford manages to tick all the right boxes with the 2015 Ford F-150. The Ford F-150 has Drastically Increased Its Residual Value with the new model year, thanks in part to a lighter body and better fuel efficiency. Savvy business owners and fleet managers already know that every dollar matters. While the people dedicating every day to your business are the real assets, not far behind them is the residual value of your equipment. Buying a line of trucks that simply can’t hold their value is no different than purposefully making a poor investment. We believe, however, that if you know better you will do better. So we want to share the most recent numbers on residual value for work trucks. ALG is a division of the automotive website, TrueCar. It have a lot of data at their disposal, and are one of the most able entities when it comes to deciphering and communicating the residual value of a large cross section of the automotive industry. So how does the F-150 stack up this year? If the bottom line of your business, and the long term viability of your company are important to you, there is no financial reason why you wouldn’t select the new 2015 Ford F-150 in Pittsburgh. 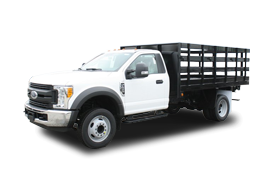 When you are ready to make the better financial move for your fleet, be sure to check out our new 2015 Ford F-150 inventory here in Pittsburgh. A few years down the road, you’ll be unbelievably happy with your savvy choices.